Microsoft introduced Alt + Tab key feature back with Windows 1.0 in their year 1985. Back then, this feature was called “CoolSwitch” however it was later changed in Windows 95 to “Task Switcher” and for Windows Vista “Windows Flip”. Thanks to the usefulness of this feature, Linux later incorporated a version of their own into their operating system. For both productivity and organization, both give great control with user accounts. Users can create a different account for work, home, play, and also one for administration to make managing their accounts simple. This is a great feature for both operating systems. It tends to be always said that one operating system steals features from another. Linux took Alt + Tab from Windows, but Task View began with them first. Linux users were given awesome features for window management in 2006 with Compiz. This included the ability to spread any open windows across the screen and switching between them easily with just a click. Something similar was introduced in Windows 10 with the Task View feature. Users can get a quick look using shortcut Windows key + Tab. This feature is indispensable for users with several active apps. Software availability is one of the larger differences between Linux and Windows. Many commercial games and business apps run on the Windows operating system only. Also, there are many exclusive apps for Linux. However, this exclusiveness no longer matters for many users with cross-platform software. For the rare instances when an app is found that is available on one platform, an alternative is easily found. Many people think of Windows as a desktop OS while Linux is more for servers. In fact, these OS can be used for both purposes. Since the year 2003 Windows Server has been used and has upgrades approximately every 4 years. Windows Server 2016 is Microsoft latest version. Several businesses use this version of Windows Server with great stability. Additionally, many people use Linux for only writing papers or email and not as a server. First and foremost, security with Windows is better than what many believe. Also, many people assume Linux is more secure than what it actually is. Yes, Linux is safer than Microsoft Windows. Additionally, the amount of malware Windows computers receive has reduced in recent years. With effective antivirus software, both these operating systems share the same amount of security issues. Whether you use one or another, you are sure to find needed features. Microsoft accounts are beneficial to have. Majority of users for Windows 8.1, used a Microsoft account when assessing this operating system for the first time. Some users thought this was the only option available to sign in. However, this is not the case. It is even possible to use a private e-mail account rather than a Microsoft account, even though it may appear it is needed. There are benefits available when linking a Microsoft account, that are not when using a local account. One available benefit, every PC running Windows 8.1 that your account with Microsoft is used, will have your settings synchronized. Settings for your wallpaper, language, network, among many other settings, are configured automatically for you. Many apps can be used across several platforms for Microsoft. Sync features that are available in default apps, can be utilized. If purchasing any apps available from the Windows store, a Microsoft account is needed. Some users prefer privacy from Microsoft. Using a private local account, can give security that none of your data is being shared with Microsoft. If using a desktop PC for home use, and laptop for work use, some people do not want them synchronized. Some users have personal reasons why they do not want to use a Microsoft account. Whatever the reason may be, they have the option of using a Microsoft or local account to sign into Windows. Open the Charms bar > Settings > Change PC Settings > Accounts. At this time you will need to disconnect from your Microsoft account. You will see your name, your e-mail address under it, and underneath your e-mail, the option to disconnect. Select that option. Windows will now ask you to verify your password. After entering your password, you will see a screen asking for your username, and password. You only need a username entered. You can enter a password if you prefer using one when logging in, otherwise one is not needed. You will be signed off from your Microsoft account, once you confirm you want to proceed. Each time you reboot your system now, you will be logged into your local account. This only disconnects you from the account, it does not delete it. All the information that is synced on your Microsoft account, remains unless deleted. If you wish to delete your Microsoft account, you must log in through a browser and follow the directions. If you wish to switch back to your Microsoft account, you can do this at anytime, provided you did not delete your account. Whether you choose to use a Microsoft account, or not; there are many uses and functions that might be beneficial to having one, compared to not. It is your choice, and if you need additional help while setting one up, give us a call to walk you through it. There are several types of computer viruses that can pose a threat to your identity or the data on your computer. It is a good idea to know about these security threats and how they work. Anti-virus software is highly recommended or everyone who uses computers on a regular basis to protect their personal, financial and most sensitive data. 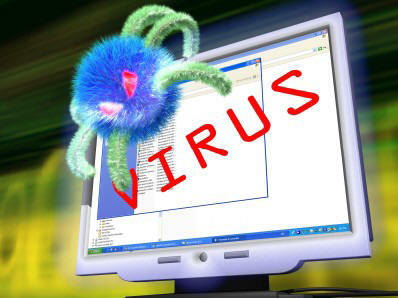 One type of virus is called a browser hijacker. This works in a way that it takes over parts of the internet browser you are using and redirects it to certain sites. Its purpose is to increase advertisement revenue by bringing traffic to certain web pages. A well-known example of one is called CoolWebSearch. Keep an updated, good antivirus program to help stop these. Also, be careful in downloading any coupon and shopping add-ons, and programs. They are often bundled with those. A second type of virus is known as a Directory Virus and are also called File System Virus or Cluster Virus. This virus works by changing the path that indicates the files location by infecting the directory of your computer. These infect the entire directory but are usually found in a location in the disk. An example is Dir-2 virus. These make it difficult to locate your files and may seem that files have disappeared. Trojan or Trojan horse is sent to your computer by a program that it is hidden inside . A trojan disguises itself to make one believe it is an important or useful program. These are often in highly desirable downloads like games, free software, and even movies or music. Trojans are different that other viruses, because they don’t multiply or spread. However, they are very dangerous because they can capture your login information on sites that you input your information. Trojans are a top tool of cyber thieves who steal your financial and personal data for profit. Memory Resident Virus are put on your computers memory. When the operating system runs the virus gets activated and every file that was opened gets infected. Even after execution of the malicious code the virus stays hidden in the RAM. This virus corrupts programs and files that are used in any way. Randex, Meve and MrKlunky are some, just to name a few. Another type is Overwrite Virus. This virus takes a file and infects it and the information in it is deleted, once that happens the file is partially useless or totally. The file size is not changed even though the content has been replaced. The file needs to be deleted, and you will lose the content originally in it. We are able to help remove all types of viruses from your computer. Whether they have been on there for a while, or if you just had them added to the computer. Having a clean computer can put your mind at ease. Want to use a different language for your Windows 8 PC? When you have Windows 8, you need to know how to use the many different features that it comes with. Multiple language support is a very useful feature included in Windows 8. Maybe you have a multi-lingual family or are traveling abroad and need to switch languages. A common reason to enable this feature is when you need to share your computer with someone who speaks another language. By following these step by step instructions, you’re able to learn more about enabling multiple languages and then be able to use them throughout the entire computer. You’re able to remove languages as well. With Windows 8, you can enable additional languages by just changing some settings. It only takes a few minutes to do and is simple enough for most users. Here is how to switch to a different language in Windows 8. Look for the language you want to use in the list, click the Add a language option — found at the top-left corner of the language list. Choose the language that you would like to change the computer to. There are numerous languages to choose from. Now you are able to use that language. You are able to preview the keyboard by going to the Options on the setting menu. When it comes to removing a language from the computer – you can later add it back, this is done just as simply. Go to the settings by right clicking the anywhere on computer screen. GENERAL settings and on the control panel get back into the languages section and click on this. Once you are there, you just have to click on Remove. The language can be removed. It is just like when you add or remove a program from the computer and you will no longer be able to type in that language until you add it back to the computer. Multiple languages are able to be used on the computer in this way. This allows anyone that is not able to read or type in English, which is the default language, to use the program and be able to read and type in their native language. Windows 8 provides an easier way to do both when it comes to adding and removing programs. Previously, on other platforms, the user would have to install a language pack in order to use the specific language that they would want to add. Theft is something all people should learn to guard against. Given the right circumstances anyone could take what rightfully belongs to you. There are many ways to help protect the files on your laptop if you ever find yourself in this unfortunate situation. Bitlocker is a full disk encryption feature in the Ultimate and Enterprise versions of Windows Vista and Windows 7. It’s also available in Pro and Enterprise editions of Windows 8. Bitlocker will encrypt entire disks making them almost impossible to be read without some form of authentication whether you choose a USB key, password authentication, pin number, or a combination of the three. This would go along with password protecting your hard drive so that it is inaccessible without your password. If you choose not to password your entire drive, you can put a password on specific files or folders. There is also the option to encrypt just certain files and folders so that they can only be accessed by the computer which encrypted them. This is mostly used on external hard drives for privacy. The best way to detour a thief is to show that the laptop will be more trouble than it is worth. You can accomplish this through many types of physical security. Most of the before mentioned tips rely on passwords. It is very important that you know how to create a strong memorable password because most protection assume that you will already have the know how on this subject. While Windows 8 was held to be one of Microsoft’s great innovations, here are top 5 reasons it would be a good idea to wait on upgrading. It is designed with mainly Touch Screen Computers in mind, which are not very widely used although they are quickly becoming the industry standard. Most people are still using a mouse and keyboard for their input needs. That is why the app based interface known as “Metro” seems to be such a hindrance for the average user. This is not like when Windows 7 was released and you upgraded from Windows Vista. This is a Completely New Operating System. That means almost everything has been revamped. You will have to lean how to do everything from the advanced tasks to where the start menu is located. The feature most used is the Start Menu. Even that has been moved and redesigned. It is no longer just a small menu that open in the bottom left hand corner of the screen. Now it actually takes up the entire screen. Windows 8 has been known to have Compatibility Issues with either hardware or software. Mostly due to drivers not being supported for windows 8. When a new operating system is release is usually has “bugs” or little glitches that can cause very annoying problems. If you wait to update to Windows 8, the manufacturer usually fixes these issues with the release of a service pack. These issues are already fixed with the current Windows 7 and Windows Vista. When thinking of upgrading to Windows 8 these are somethings to take into consideration before making that system changing decision. If you are not ready for a big change in the view and use of your computer system then it benefit you to wait before upgrading to Windows 8. Should you choose to upgrade to Windows 8 I would recommend visiting Microsoft’s Compatibility website to assure a smoother transition to the new operating system.